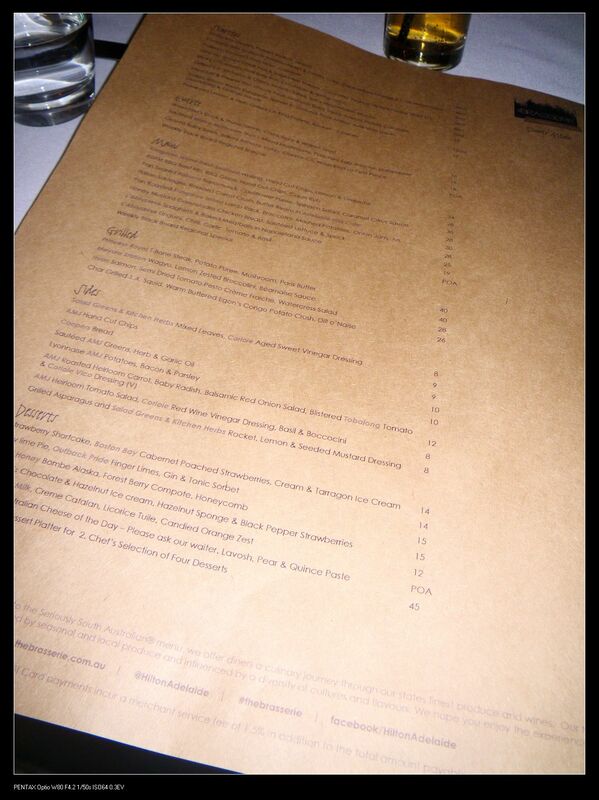 The Brasserie at Hilton Adelaide is probably my most visited restaurants during the last 12 months. Whether it’s for high tea or for dinner, the quality of food at this place has never disappointed me. 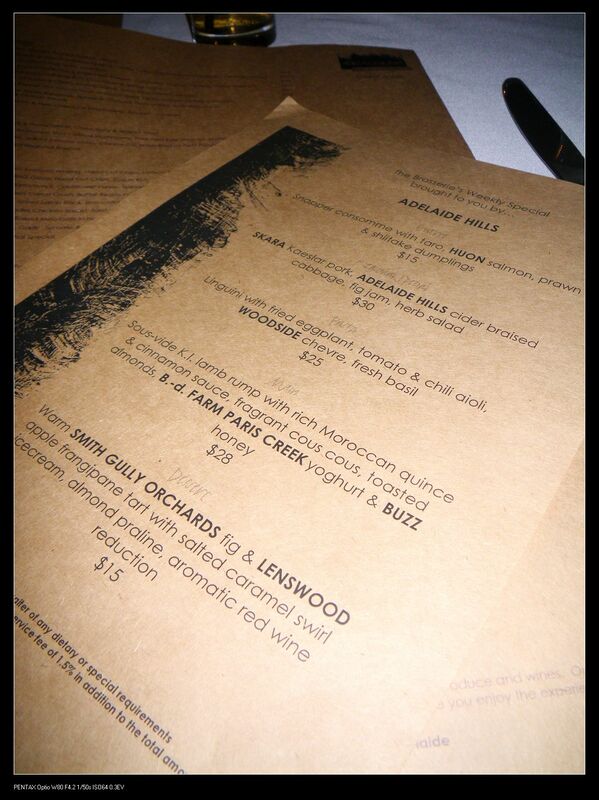 To taste their May menu, my wife and I decided to give it another crack on a Friday night before doing our regular shopping at Rundle Mall. This time, we chose 2 entrees and 1 main from their dinner menu and the other main was selected from their Weekly Special from Adelaide hills. Lime Lemon Bitters, $3.50 – My good ol LLB and it is always as good as before. 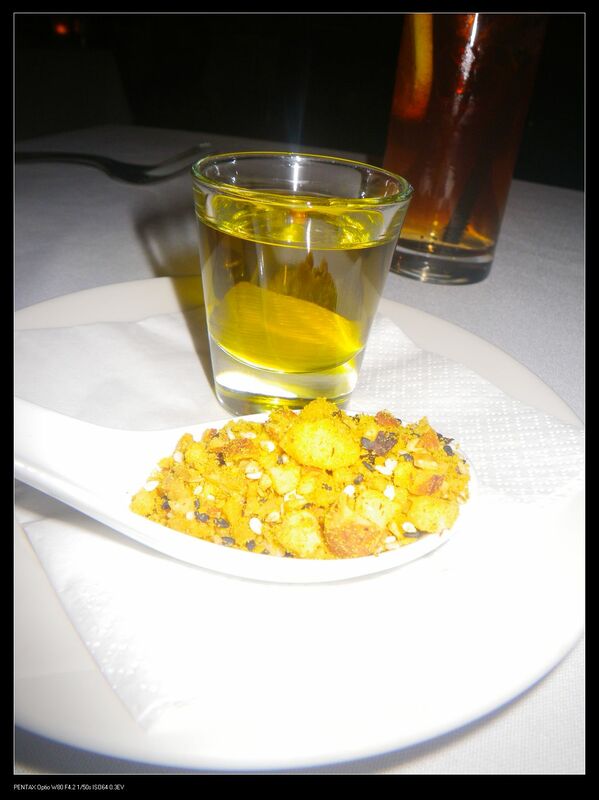 Complimentary Bread, spices and olive oil. 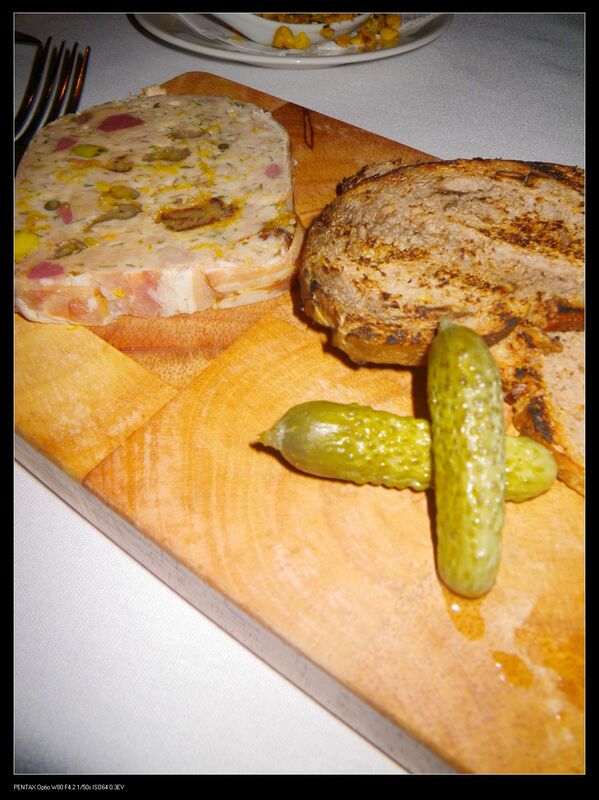 Waechter’s Duck Terrine, Cornichons & Walnut Toast, $16. This was a terrine that I loved a lot at the dinner. The terrine filling, I suppose to be duck, has been finely reconstructed and the mouthfeel was so tender that I can’t stop biting. The combinations with the walnut bread and cornichons are very delicious as the crunchiness from the toasted bread and the sourness from the cornichons provided extra layers of flavours to the terrine, giving a mouthful sensation. Also, the nutty bits and pieces in the terrine was very fragrant on the nose. Recommended! 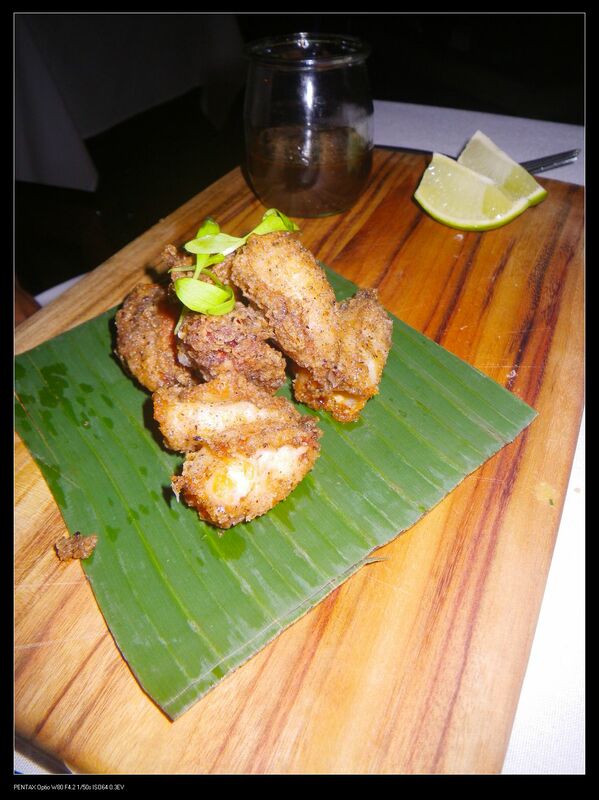 Fried Salt & Pepper Port Lincoln Fresh Seafoods Baby Squid, Adobo, Picked Coriander, $12. This is not your normal family styled salt n pepper squid. It is so tasty and gourmet that I never tasted before. The baby squid was fried to perfection and was tender, moist and full of flavour. The typical fresh squid seafood taste can be noted when biting these small pieces. The abodo is a kind of marinade with ingredients like paprika, oregano, salt, garlic and vinegar to preserve raw food but it complemented the taste of the squid very well, providing sour and herb flavour to the squid. Well done! 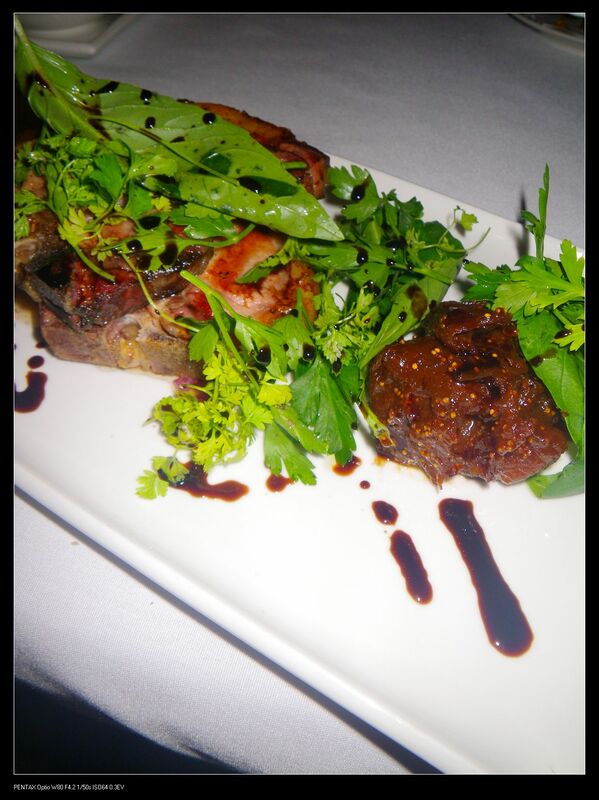 SAKARA Kaeslar pork, Adelaide hills cider braised red cabbage, fig jam, herb salad, $30. This is the only dish that I didn’t like at all for the night. The pork was somehow tasteless and the cider braised red cabbage had strong bitterness. The fig jam was fine with a sweet flavour but the whole dish just did not work out well. Maybe next time I’ll have to stick to their normal menu. Mayura Station Wagyu, Lemon Zested Brocolini, Bearnaise sauce. $40. Mayura Station Wagyu, Lemon Zested Broccolini, Bearnaise sauce. $40. I’ve had good grade Mayura Station Wagyu steak before. Although the steak in the photo was not as good as the one I had before, it was still quite nice to bite. Cooked med rare, the beef still has beautiful pinkness in the center of the meat. 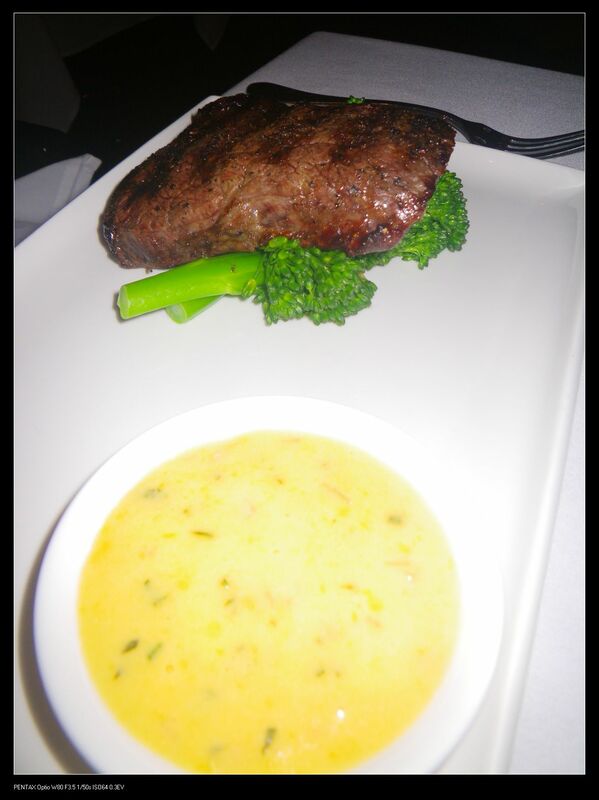 The steak was flavoursome but I especially liked the Bearmaise sauce which had a creamy and slightly sour taste. This sauce helped to balance the meaty flavour and to digest the meat well. The overall dinning experience did not differ much from all my previous experience at the Brasserie. The service was top notch but this time, I did not get satisfied with the Regional Special dish. The rest of the dishes were fine and delicious. I have had similar experiences, so you are not alone with your review! Glad to know Joanne. I guess they need to improve the consistancy of the quality of their dishes. I was more of a regular when Simon Bryant worked there and reiterate what yourself and Joanne have mentioned above. My last visit was Valentines Day in 2012. The service was great, but the Goat from the special board was dry and not what I would expect. The waitress was honest enough to say that there had been similar comments from the other diners. I’m pretty sure she knocked $20 off the bill. I would still go back because the overall experience really is quite nice. Honest reviews like this can only help. PS – love the EVOO balsamic and bread starters at the Hilton. Yes, I normally writes what I like and dislike for each restaurant. 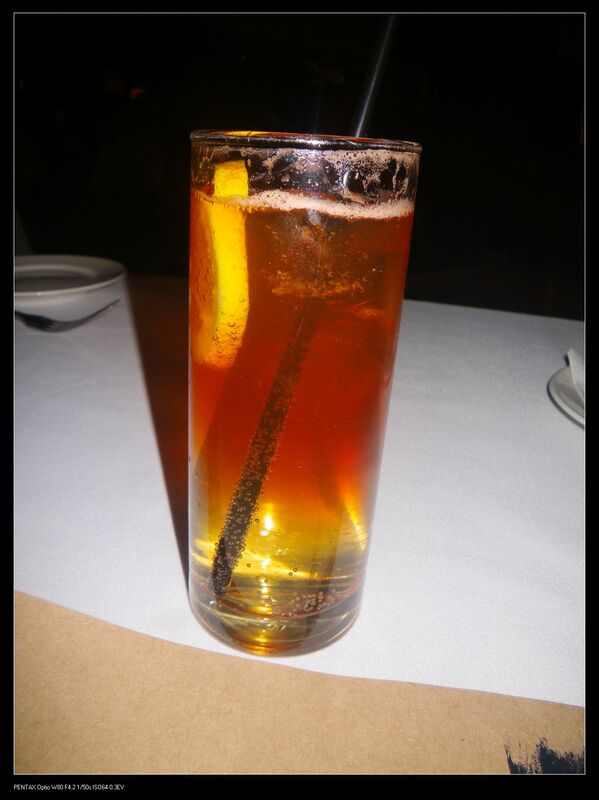 I dined there several times when simon was still there and the food was tantalising. Dennis Leslie has done a great job too but some dishes were not always consistent in quality.